We are launching our first product this month, the Perchök. It is a hanger for people who have a wall to install it on, made by people who experienced homelessness. Having a purpose and feeling useful is crucial to leaving life on the street. 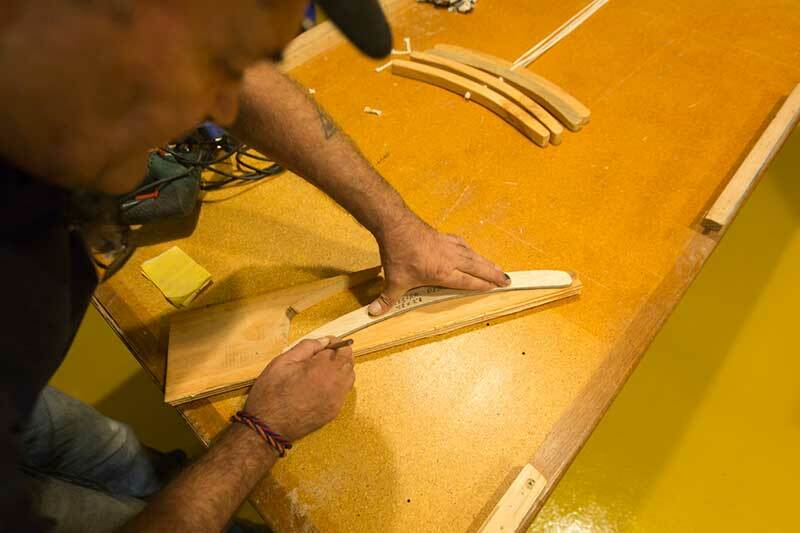 The wood workshop of Fundació Arrels provides work for homeless people and with that, social acceptance. The Perchök is a social design and is made from eco-friendly materials such as reclaimed wood, natural cotton and metal. The first two materials are completely biodegradable at the end of the product’s life, and the latter is easily recycled – this is known as a Cradle to Cradle design. Each wooden piece is hand-made in the Barri Gòtic in Barcelona by Meinhard, Abdelkarim and Aurelio. The production is kept small-scale so the team has time to enjoy their craft in a relaxed environment, pressure free! 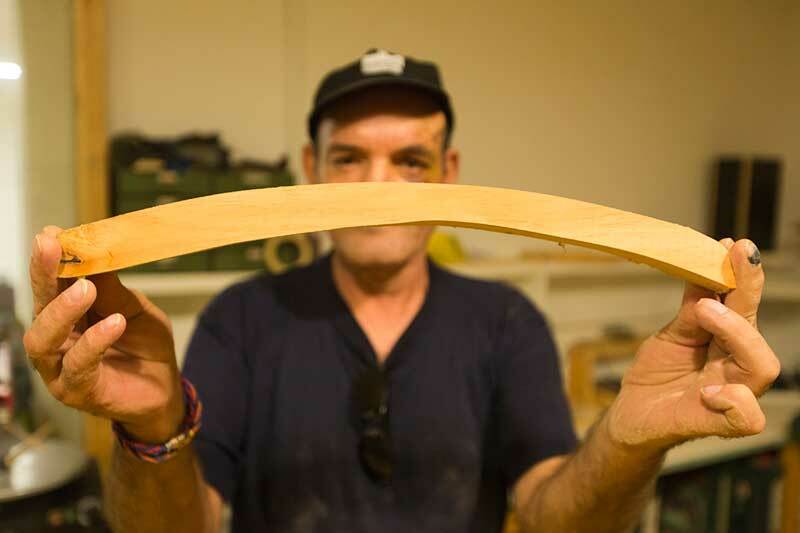 Please have a look below at the photos by Juan Lemus to appreciate how each piece is made. The original hangers in the bedrooms of our apartments are the result of Petz coming across a box of 100-year-old hangers from a dry cleaner. 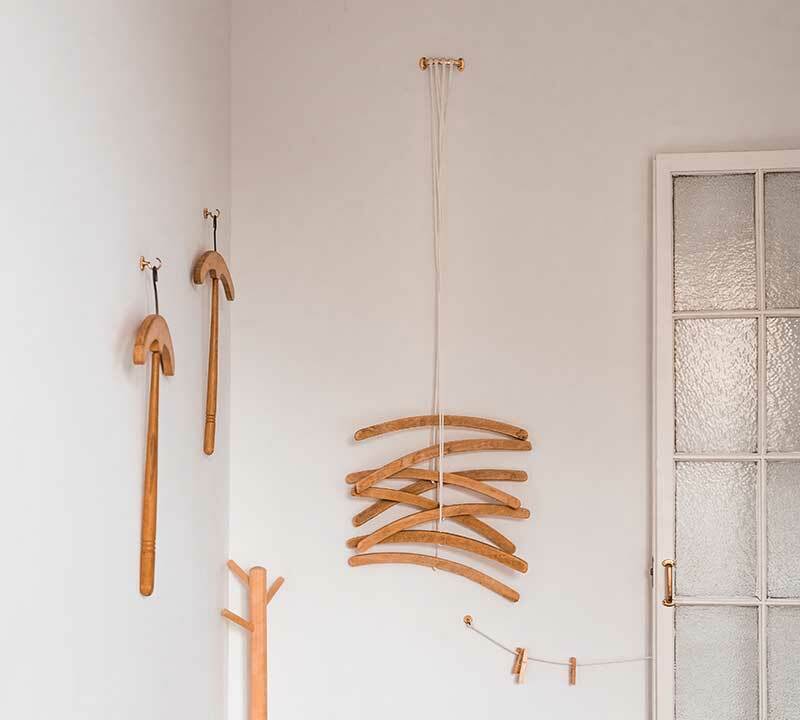 She replaced their rusted hooks with white rope to create a minimal yet functional piece that also looks good when empty. 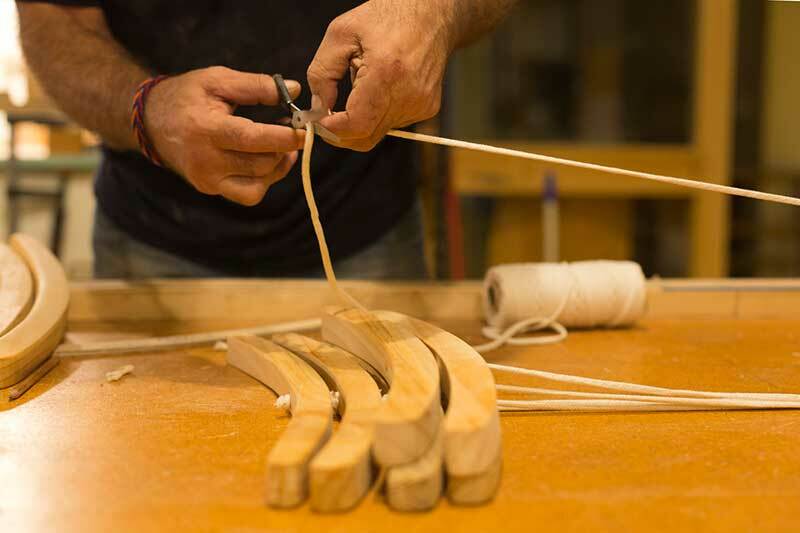 Because we used up all the hangers in the apartments, and because some of our guests kept asking for a piece to take home, we decided to work with Fundació Arrels to make more from used wood. Original hanger in Casa A. Photo by @jelkalepever. In purchasing this product you help the workshop team have a purpose and objective to their day. The Perchök is available for 45€, and all the money goes to Fundació Arrels. The cost of fancy packaging has instead been added to the funds for the foundation and you get your Perchök as it is, ready to look good on your wall. 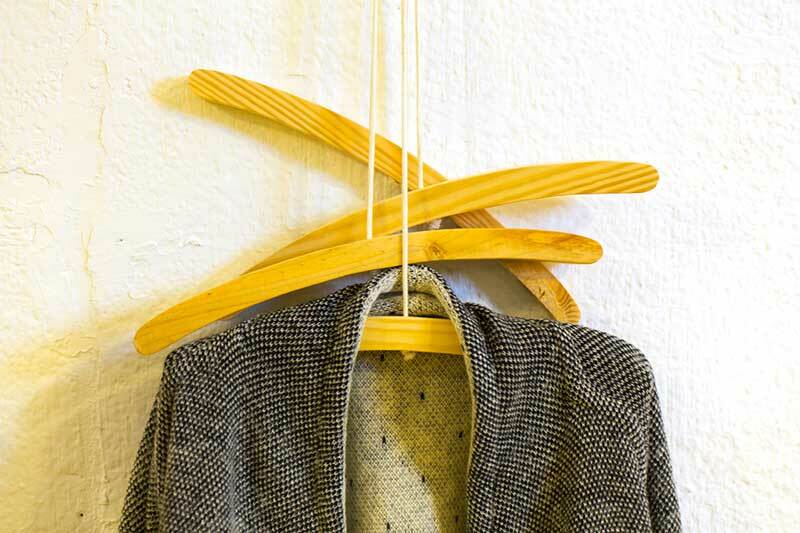 The standard hanger has four hangers but more can be added. Since 1987, Fundació Arrels has joined more than 11,500 homeless people on their way to independence, offering housing, food, and social and medical attention. We started to collaborate with Arrels back in 2014 to create some of the furniture for our apartments. 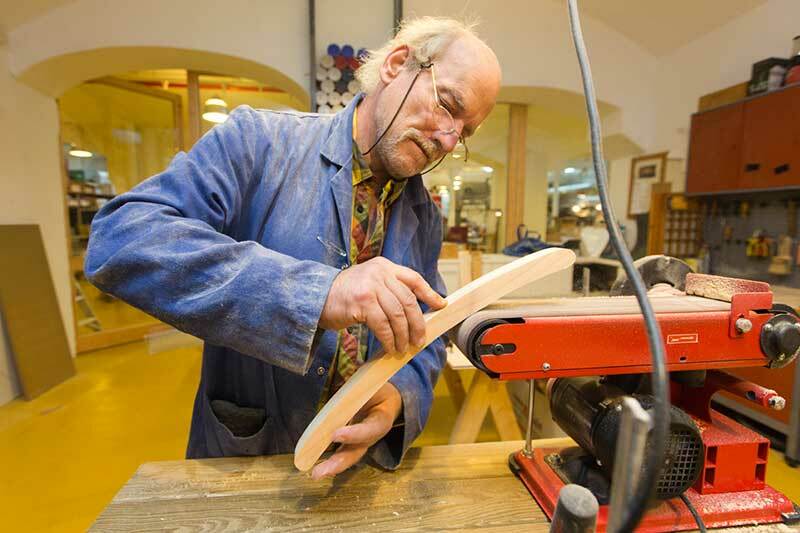 They made all our bedside tables, upcycling waste wood, and, turned some leftover wood from our eco-renovation into stools, with the help of local designer Curro Claret. Thank you to everyone who supports social design and to Fundació Arrels for making it possible.